Real Property Management, the nation’s leading property management organization, and RentRange, the nation’s leading provider of Rental Market Intelligence™, together with release “Rental Housing Statistics” that shows national rental home rates are rising. 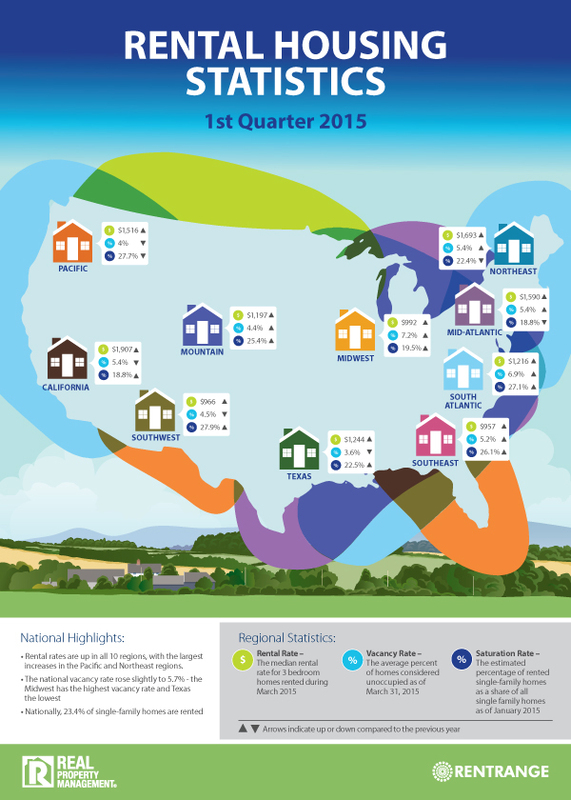 View the “Rental Housing Statistics” in a larger format. Through the first quarter of 2015, the companies reveal that the average monthly rent for single-family homes was $1,286, representing a 5.4 percent year-over-year increase. The rental market data was limited to three-bedroom single-family homes in the U.S.